Yesterday I posted about all my yummy French terry and the zillions of sweatshirts I have planned. But before I could get sewing I wanted a TNT pattern. 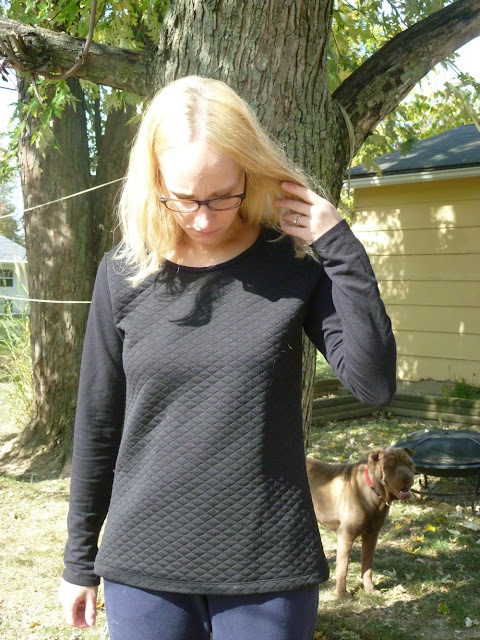 Believe it or not, it is almost impossible to find a basic crew neck sweatshirt pattern that is NOT raglan sleeves (this was before Sewaholic released the Fraser!). Based on feedback from other sewists, I decided to try a basic tshirt pattern and upsize it. I had recently won a gift card to Indie Sew, and I used it to purchase the Union St. Tee by Hey June. 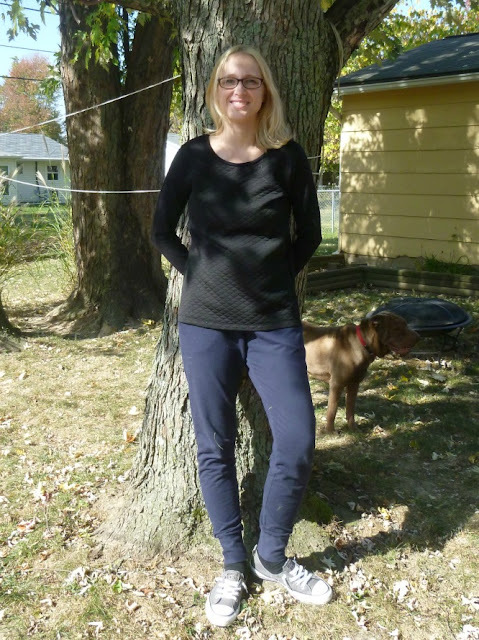 Now I apologize for the pants I'm wearing in these photos (Hudsons). They do not go with the shirt at all. But when it came time for the photo shoot, I realized that my jeans were in the room with the sleeping baby. Ain't nobody gonna risk that. This was my first Hey June pattern. Lots of likes! Instead of giving a sizing chart, she only provides a finished garment size chart. 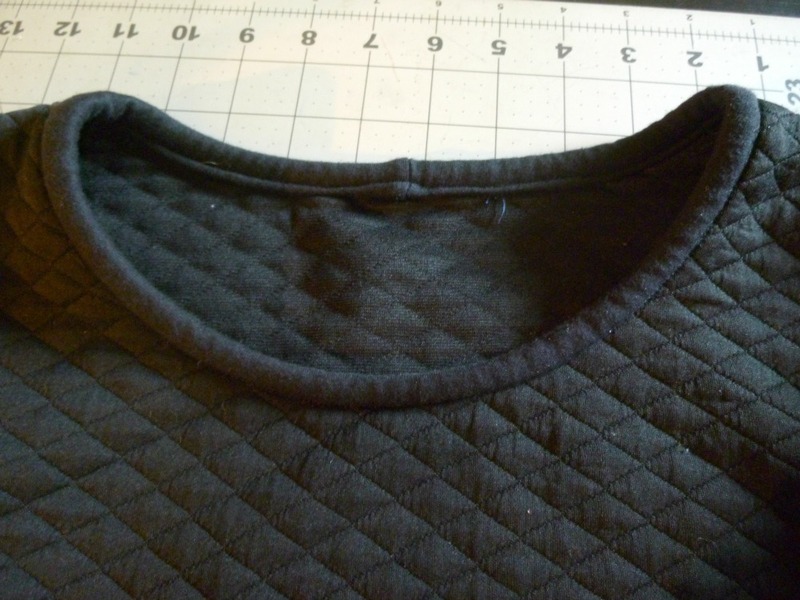 This forces you to pay attention to your fabric and how stretchy it is, and choose a size from there. I also like the 1/4" seam allowances. On a sewing machine this would be super annoying, but with a serger it's ideal. No wasted fabric. There are also layered sizes, 3 sleeve options, and 2 necklines. It's a lot packed in to one pattern. My only dislike is that the notches weren't noticeable until I was looking for them, and only because the directions mentioned them. Not a deal breaker but hopefully I saved someone else from that extra step. I made a size medium which is bigger than I normally would. It ended up looking more like a mistake than a sweatshirt, so I went back and resewed it with a deeper seam allowance. I will make a small next time and know that it will give me a tshirt look. The only other change I made was to sew on the neck binding, then fold it over and around the seam allowance and topstitch it down. It looked kind of floppy and weird before I did that. But enough boring stuff...this fabric! 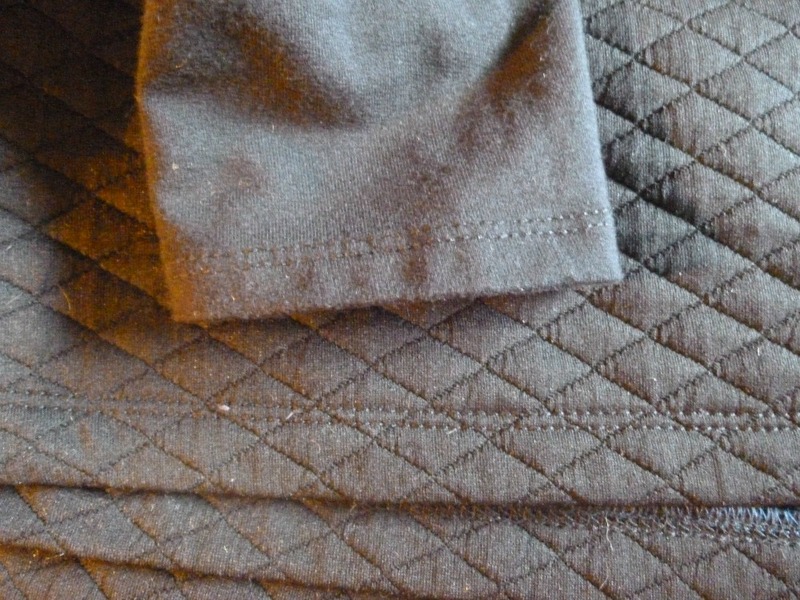 It's a quilted knit from Fabric Mart and it's super cool. A little scratchy on the back side, but I'll always be wearing a cami underneath so it's fine. 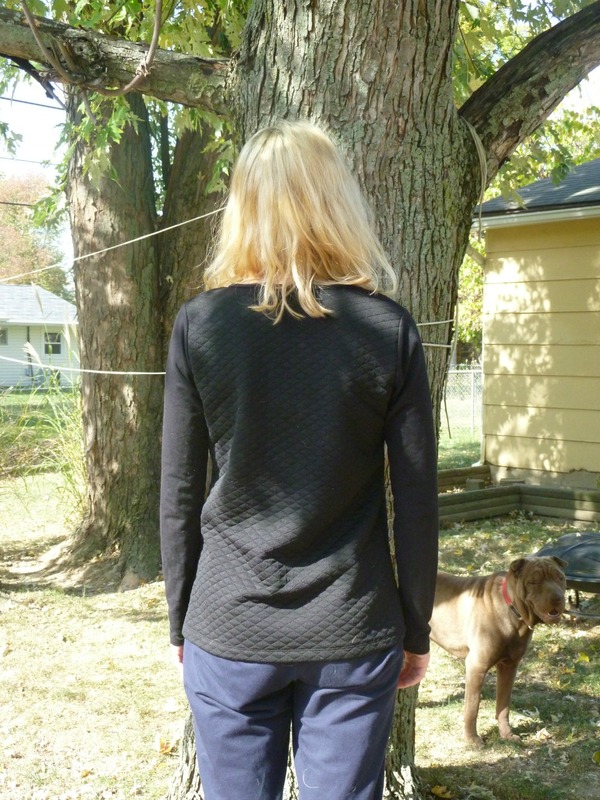 The sleeves are black French terry and very cozy. The top is inspired by a similar one I saw at Target probably a year ago...I'm so happy to finally create my own! By the way, if you don't have a coverstitch already...get one. Am I the last one on earth to try this pattern?